Tired of your yard being swamped by mosquitoes every single summer? These pesky insects are not only annoying – with their itchy, irritating bites, and constant, buzzing presence – but they are also potentially dangerous to you and your loved ones. 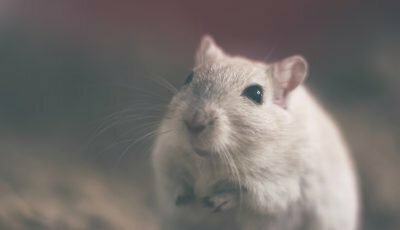 Not only does the constant scratching induced by their bites leave you open to infection, they are also carriers for some of the world’s most dangerous diseases, including West Nile virus, Dengue fever, and the Zika virus. 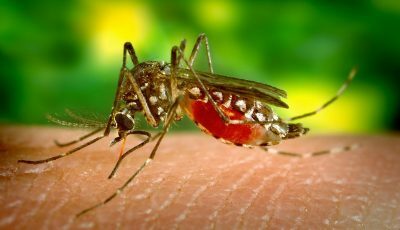 If these facts worry you, then you may want to consider installing a mosquito fogger at your place. These devices literally cut mosquitoes off at the source, and are one of the most effective forms of mosquito control out there, favored by professionals and homeowners alike. Read on to find out more. WHAT TYPE OF MOSQUITO FOGGERS ARE YOU LOOKING FOR? 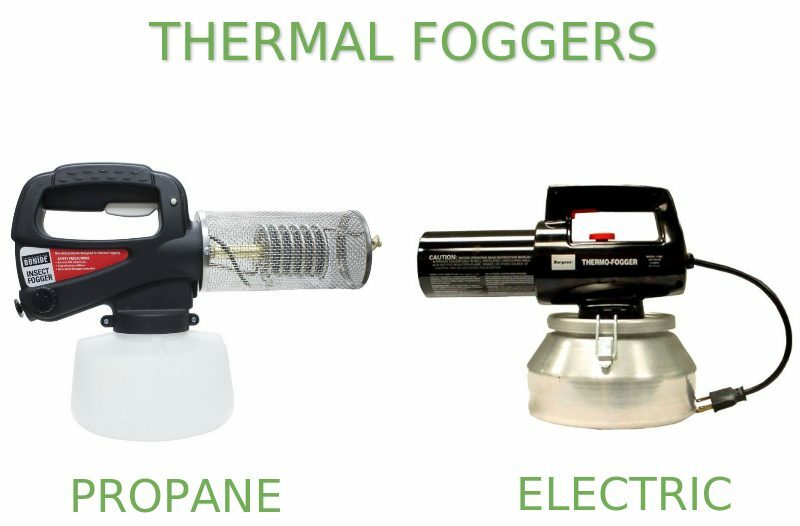 Thermal foggers utilize heat to vaporize a fogging solution or insecticide, creating a dense mist that can be sprayed through the nozzle or barrel of the fogger onto all manner of surface, and can also penetrate hard-to-reach locations like dense foliage, long grass, under the eaves and floorboards of your house, shed etc. The fogging solution is poured into a storage tank or container usually located below the fogger body; from there the user pumps it through a pipe into the heat assembly chamber at the front of the fogger by pressing a fogging trigger situated on the handle of the device. There it goes through an element or coil that is heated to the point where the fogging solution vaporizes and can be sprayed through the nozzle of the device as a fine mist. There are two main types of thermal fogger out there on the market – thermal fuel foggers and electric foggers (in this article we will also consider ‘commercial’ foggers, which rely on pulse-jet heating technology to vaporize the fogging solution). Thermal fuel foggers contain a socket on the back of them where you place the fuel tank (usually propane) that heats the element. Electric foggers, by contrast, heat the heating assembly using electric energy (they have an electric cord that needs to be plugged into an external power source). Compared to other types of fogger, thermal foggers can generate a mist or fog made up of very small particles, as little as 0.5-5 microns. This makes them ideal for targeting smaller insects like mosquitoes that prefer to dwell in hard to reach places, like dense foliage and undergrowth, below the floorboard and eaves of your house, and so on. However, unlike cold foggers where the size of the droplets emitted by the fogger can be controlled by adjusting the airflow of the fogger, it is much harder to control the size of the particles released by a thermal fogger. They will come in a wide variety of sizes. Thermal foggers are very powerful and efficient; moreover, they generate a thick, white or gray colored fog that is readily visible, and thus you can more easily see what you are doing and if the fog is reaching the places you want it to reach. As we have seen, because they play with fire and high temperatures, thermal foggers are not safe to use indoors or in an enclosed space, due to the risk of asphyxiation, nor in areas that contain flammable materials. In addition, in colder weather, there is a risk that the heat assembly of the fogger will not heat up to a point where it completely vaporizes the fogging solution so that pesticide that is still in liquid form will begin to drip from the fogger leaving hard to remove stains on the floors and carpets. Thermal foggers are thus suitable for outdoor use only. 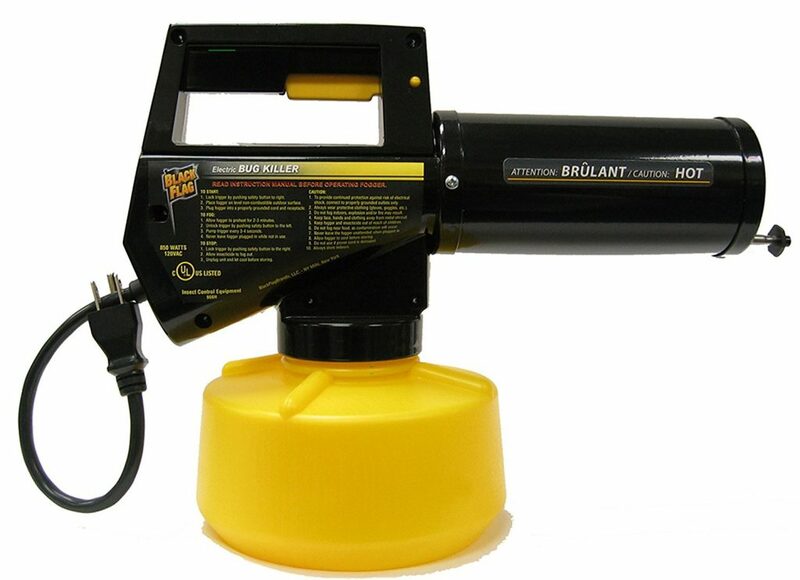 Propane mosquito foggers rely on propane fuel to heat up the element or coil that vaporizes the fogging solution. They come with a canister for attaching the propane tank to the fogging device, so that you can carry your device around with you and go fogging wherever you like: as long as fuel remains in the tank, no external power source is required. Beware though that with many propane mosquito foggers, the propane tanks are sold separately, so if you do end up buying one of these foggers, be sure not to forget to purchase a fuel tank to go with it! Here are the best propane fogger options currently available on the market. Portable and powerful, this fogger will let you get rid of mosquitoes and other biting insects quickly and easily. Generates thick fog, is simple to use and will let you fog a large area in a short period of time. Built for performance and long-lastingness. It generates dense fog, ideal for both small and large outdoor spaces. It's easy to assemble, operate and clean. Perfect for both professionals and beginners. Produces extremely fine pesticide mist, is portable, lightweight and highly efficient. This thermal fogger will let you enjoy a mosquito-free backyard in no time. Turn your yard into a mosquito-free zone with this propane-powered fogger from Bonide. Not only is it ideal for large outdoor spaces, including the backyard, campsites, picnic sites, and more; because it generates such a dense, insecticidal fog it will penetrate even the hardest to reach places: dense foliage, cracks, gaps, and other nooks and crannies within the built structures of your property. It is effective against mosquitoes as well as flies, moths, gnats and other airborne pests; fast-acting, it leaves no residue that can harm the healthy growth of your plants. This device is built to last also, with it’s durable nylon construction; in addition, it features a translucent bowl that enables you to see just how much insecticide is left in the fogger. It has a portable and lightweight design that makes it super easy to handle and move around your yard. Equally easy to operate, simply flick the ignition switch to create a spark that will light up the heater coil, and from there transform your pesticide of choice into a dense fog. Choose whatever pesticide product you choose, Bonide’s mosquito fogger is recommended though as it is specially designed to kill mosquitoes in outdoor fogging operations. This is one of the best propane insect fogger offerings currently in town, well and truly recommended. Propane powered mosquito fogger, turn your yard, campsite, or picnic site into a mosquito-free zone in a few simple steps. It’s just about the best propane fogger out there on the market at the moment. 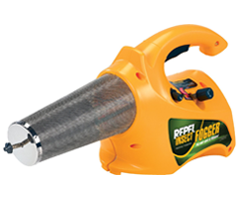 Follow the professionals, and choose the Repel 190397, this propane-powered insect fogger delivers immediate and long-lasting protection against mosquitoes, flies, gnats, moths and the other airborne pests to be found in your yard. Not only is this product fast acting – you can treat a 5,000 square feet area in no more than 10 minutes with it, and it is effective immediately against insects – it also delivers enduring protection (up to 6 hours) against the targeted insects. It leaves no harmful chemical residue, so you re-enter the treated area once the fog has dispersed (which it usually does in about 5 minutes). 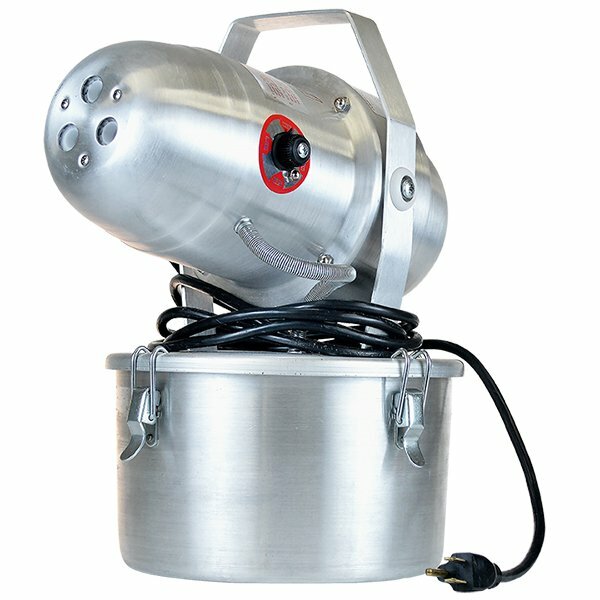 This is a propane powered mosquito fogger, it relies on heating an element that in turn vaporizes your pesticide product, generating a dense fog made up of extremely fine, microscopic particles that will penetrate all of those out-of-the-way hiding places that mosquitoes like to build their nests. And as it is propane powered, this device is completely portable, simply install the tank in the fogger, strap it onto your back and you are ready to go. It’s compatible either with a 14.1 oz ‘tall’ propane cylinder, or the ‘short’, 16.4 oz. variety. Propane tanks are not included with this product, however, the pesticide formula is – and it has already been pre-formulated so that no mixing is necessary; it’s ready to use straight out of the tank. One quart of this stuff will treat up to half an acre. This thermal fogger product is preferred by pest control specialists for professional fogging operations, and from what we’ve seen here, it’s not hard to see why. 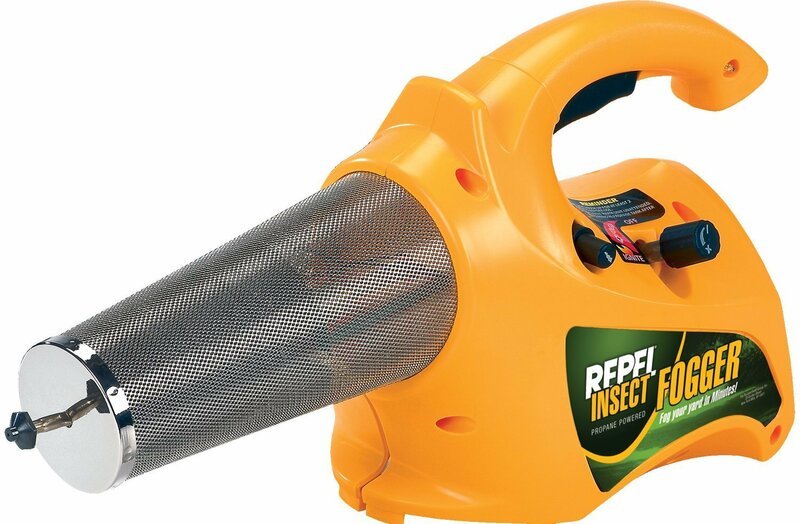 Add the Repel 190397 mosquito fogger to your anti-mosquito arsenal today, it is just about the best outdoor mosquito fogger out there today. 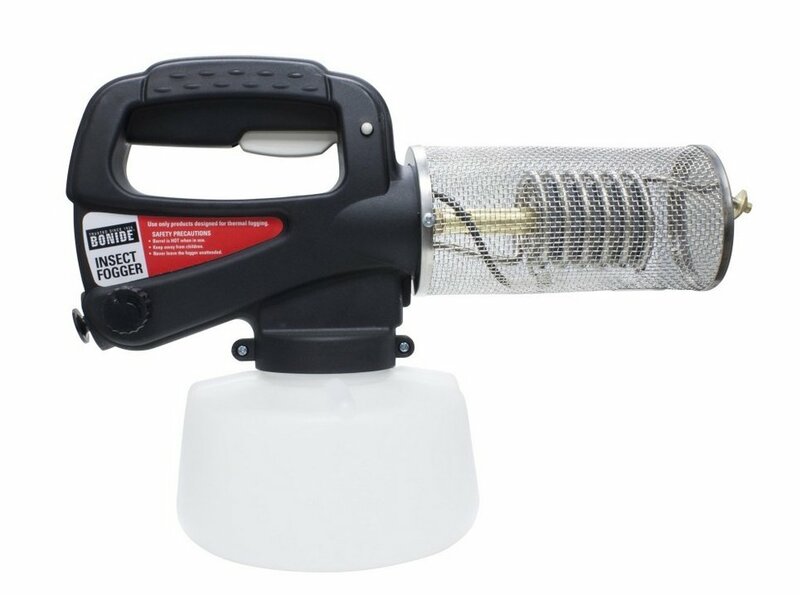 Propane powered insect fogger, delivers broad-ranging, fast-acting pest control against all common outdoor pests- whether in your yard, campsite, or other outdoor location. Propane powered: simply install the tank, press ignition, and the fuel will heat up a coil that vaporizes your pesticide product, generating a dense mosquito fog. Compatible with either the tall or short propane tank types. Note: propane tanks sold separately. Pesticide formula included: already pre-treated so you don’t have to dilute it. One quart of this stuff will treat up to half an acre. A very effective thermal fogging machine, fast acting and broad-ranging protection – no wonder it is preferred by the professionals! Black Flag is another well-known manufacturer of mosquito foggers, and this propane powered product of theirs’ is up there with their finest offerings. The highlight of this propane bug fogger device is the extremely fine, pesticide mist it generates; because of their minute, microscopic size, the particles will float and penetrate deep into dense foliage, cracks, gaps and other places where mosquitoes hide, killing them on contact and creating a bug-free zone that lasts for up to 6 hours. And because the fog disperses so quickly, you can return to the treated area in next to no time at all, and continue enjoying your outdoor activities. 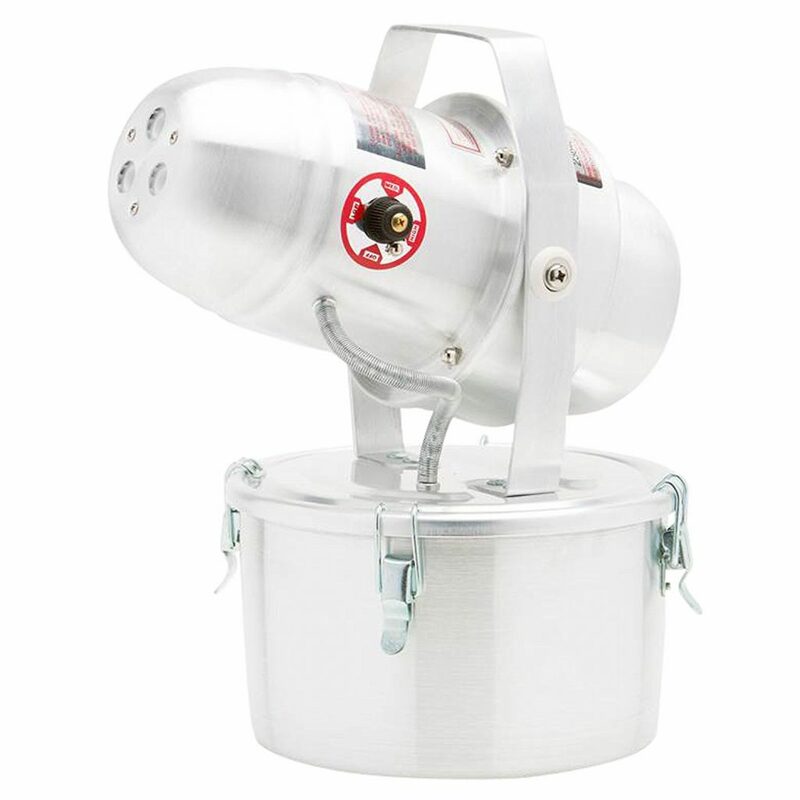 This gas powered mosquito fogger is a perfect product for backyard barbeques, picnics, and camping excursions. 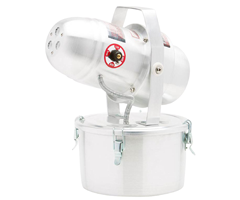 As this is a propane powered device, no external power source is required either – it’s completely portable, you can take it with you wherever you go; install a propane tank in the holder, strap it into your back and you are good to go. Simply push the start button, and wait for a couple of minutes for it to pre-heat. You can treat a 5,000 square feet area in under 10 minutes with this device. Note: pesticide product is already included with your device, no pre-treatment is required as it is already diluted. However, propane tanks are sold separately – the device is compatible with either the tall, 14.1 oz., style cylinder or the short, 16.4 oz. variety. Propane powered mosquito fogger, delivers immediate and enduring protection to your yard, campsite etc against mosquitoes, flies, gnats, moths and other airborne pests. 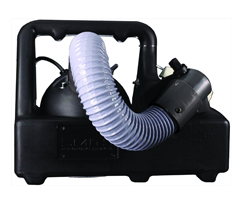 It is one of the best propane insect fogger offerings you will ever encounter. Electric thermal mosquito foggers rely on electricity to heat the coil that vaporizes your fogging solution. As they don’t require flammable fuel or the generation of open flame, they are safer to use inside than propane powered foggers, however, it is still not recommended due to the fact that they, too, generate a lot of heat and reach very high temperatures in the process of vaporizing your fogging solution. Electric mosquito foggers come with a power cord that needs to be plugged into an electrical outlet, and they may or may not come with extension cords (which give you more options as to where you use them). Here are the best mosquito fogger products that use electric power to heat an element currently going around. With features like user-friendly design, portability and ability to generate fine, yet dense fog, this electric fogger is one of your best bets for getting rid of mosquitoes in your yard for good. This commercial-grade thermal fogger will let you fog smaller and larger areas quickly and efficiently, helping you achieve professional results without the hefty price tag. Convenient, powerful and efficient. This fogger will let you fog up to 5,000 square feet area large in just 10 minutes, so you don't have to worry about mosquitoes for a long time. This heavy-duty, commercial-grade thermal fogger from Burgess delivers professional standard pest control, it’s perfect for use in your backyard, campsite or picnic site. Compatible with both water-based or oil-based pesticides, it will generate a fine mist that easily penetrates all of those hard-to-reach locations where mosquitoes and other insects love to hide. Super-efficient, it will convert a single ounce of insecticide into 2,000 cubed feet of fog within minutes. After the initial treatment, it also provides enduring protection (up to 6 hours) against pests. Electric powered, it uses a 110 volts power supply for heating the element and vaporizing the pesticide product. The heavy-duty, aluminum storage tank holds up to 96 ounces of product, ensuring you won’t run short in the middle of treating a large space. Another versatile feature of this device is that you can adjust the flow rate of the device, thereby generating a wetter or dryer type of mosquito fog. Indeed, this is a fantastically versatile little product from Burgess, it delivers broad ranging outdoor pest control in all types of conditions. Highly recommended, it is one of the very best mosquito fogger products out there today. Electric thermal fogger, delivers comprehensive and long-lasting protection against mosquitoes, flies, gnats, moths etc in your yard, campsite and more. Suitable for use at home and in commercial settings alike. Looking for the best mosquito fogger for yard currently available on the market? Then you’ve arrived at the right place. Has received very favorable reviews from customers as to its performance. 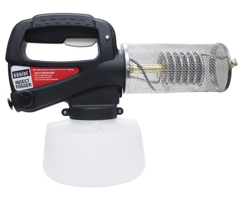 If you are looking for the best outdoor mosquito fogger going around at the present time, then you could do a lot worse than choose this offering. Black Flag are back with another fine mosquito fogger offering, the 190107 electric fogger is user-friendly, portable and generates a fine mist that will penetrate all of those hard to reach places where mosquitoes and other outdoor pests love to hide. Suitable for use by professionals or by the home-owner in their backyard or picnic site, this device kills mosquitoes, flies, gnats, moths and other airborne insects on contact, and create a mosquito-free zone that lasts for up to 6 hours. Highly efficient, you can treat an area of 5,000 square feet in under 10 minutes with this device. And the fog generated by this device also disperses very rapidly, so you can safely return to the treated area within about 5 minutes, no worries. Easy to operate, just plug in an extension cord (included with the device), switch on, and let the device pre-heat for 2 to 3 minutes. Keep your fogger level and upright, and simply pull the trigger once every 3-4 seconds as you move through the area you wish to treat. Compatible with all major brands of fogging insecticide, this device is powered by electricity, it utilizes a 110 volts power source. 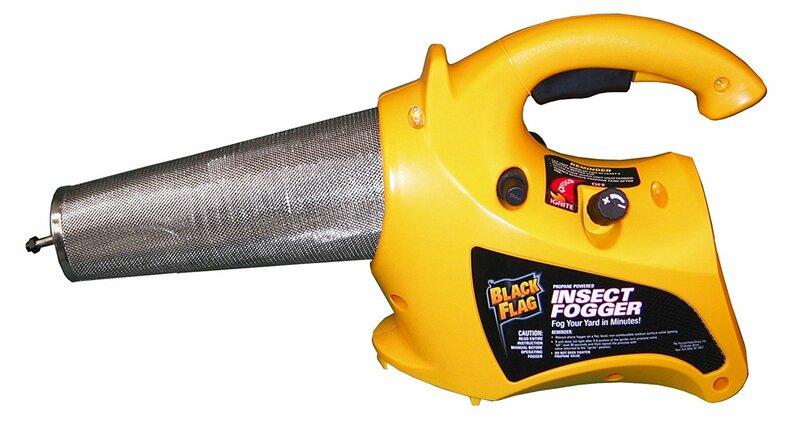 All in all, this is a high-quality mosquito fogger from Black Flag, if you are looking for such a device to use whether at home or in commercial pest control operations, you could do a lot worse than choose this one. Well and truly worth the investment of time and money, this is one of the best bug fogger products going around today. 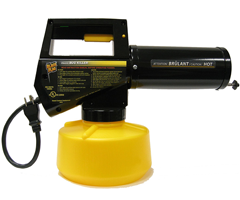 Electrical mosquito fogger delivers effective pest control in the yard, picnic site, campsite, or in professional pest control operations over even larger areas. If you are looking for the best mosquito fogger for yard, then you could do considerably worse than choose this product. Few mosquito foggers are as convenient or easy to use as this offering from Burgess. It utilizes any standard 110 volts power source, simply plug it in, switch it on, and allow a few moments for the element to heat up, before it vaporizes your pesticide product of choice, generating a fine mist that will penetrate all the little nooks and crannies where mosquitoes like to hide during the day. Pumping the trigger as you move around your yard or other outdoor space to be treated, you will find that you can treat a 5,000 square feet area in under 10 minutes with this device. And this device includes a 40-ounce reservoir so you will never run short of the product while you are conducting your fogging operations. It also supplies enduring residual protection (up to 6 hours) against mosquitoes, flies and other pests. And because the fog dissipates so quickly, you can return to the treated area within minutes, with no risk to your own or other peoples’ safety. This is an electric fogger, so no dangerous fuels to contend with, simply plug into a standard 100 volts power source, and you are good to go. It’s ideal for use at backyard parties and barbeques, picnics, camping trips and more. Burgess has hit another home run with this product of theirs’, it is one of the best outdoor residential mosquito foggers going around today. High quality residential outdoor mosquito fogger, perfect for use at backyard barbeques, parties, picnics and camping trips. It will turn your surroundings into a bug-free zone, protecting you and your family as you enjoy the Great Outdoors. It generates a dense fog made up of fine, microscopic particles that will easily penetrate dense foliage, undergrowth and other gaps and cracks where mosquitoes are known to hide out. No insect will be able to escape the reach of this device. Easy to operate, full instructions included. Plug in, switch on, and allow 2-3 minutes for the element to heat up and vaporize your product – you will then be good to go. A 5,000 square feet area can be treated in less than 10 minutes with this product. Fog disperses quickly, so you can return to the treated area within moments. We have also included commercial mosquito foggers under the heading of ‘thermal foggers’, as these foggers also rely on the generation of heat to vaporize the fogging solution and create a pesticide mist or fog. Some of them are electric powered, others run on standard unleaded fuel; what sets them apart from the propane and electric foggers considered above, is that they are designed for large-scale commercial fogging operations – like the fogging of warehouses, barns, factories, farms, etc. 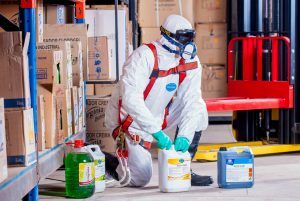 If you want to start your own commercial fogging business or are the owner of a farm or other large installation, then here are some products you might want to consider buying. When it comes to efficiency, speed and performance of insect foggers, Golden Eagle is one of the best. It’s a highly-capable fogger that will deliver amazing results and quality like no other. If you're looking for a professional-standard mosquito fogger that is still easy to use, then look no further than the Longray Pulde-Jet fogger. It’s efficient, powerful, far-reaching and reliable. This commercial mosquito fogger is ideal for a wide range of applications. Powerful, technologically advanced and the perfect choice if you are looking for a quality bug fogger. 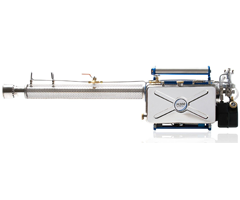 The 2nd generation Pulse-Jet Commercial Thermal Fogger from Longray delivers professional standard pest control, it’s ideal for commercial fogging operations. Equipped with heavy-duty, stainless steel and viton parts and cutting-edge pulse-jet technology, it delivers all the benefit of thermal foggers and more, generating a smoky fog made up of exceptionally fine particles, that will penetrate all of those hard to access locations where mosquitoes and other insects are known to congregate; this commercial mosquito fogger machine also has a much longer spraying distance compared to most thermal foggers going around at the moment, and operates at a far superior speed. This is one thermal fogger that sprays finer, faster and further than most thermal and cold/ULV foggers currently on the market. And its build is of the highest quality also. The fuel and solution tank is built from tough, rust-resistant stainless steel; all other parts like gaskets, seals etc are built from Viton or Teflon. Meanwhile, the pulse-jet engine that vaporizes the fogging solution is super reliable and easy to maintain, it includes no moving parts. This professional mosquito fogger is compatible with all pesticides and fogging agents, whether water or oil based. And last but not least it is backed by a one year manufacturer’s warranty. This commercial grade fogger from Curtis Dyna-Fog is without compare when it comes to performance, speed and efficiency, it is suitable for use in factories, warehouses, barns, poultry houses, apartment complexes and many, many more. It features a cutting-edge electric start-up system that ensures your pesticide is vaporized quickly and completely, generating a fine mist whose constituent particles will penetrate all the usual cracks and corners that mosquitoes, flies, gnats, termites, lice and other pests like to lurk. It delivers far greater speed and range compared to most thermal foggers on the market and is compatible with any kind of pesticide, disinfectant or other fogging agents – whether water or oil based. It’s built from sturdy stainless steel which is rust-resistant and built to last – so you can be sure that this is one fogging device that is built to last. For large scale fogging operations, this offering from Curtis Dyna-Fog can’t be beaten, it’s well and truly worth the investment of your time and money. Choose this Vectorfog thermal fogger for commercial fogging operations, it’s ideal for a wide range of applications and settings including warehouses, farms, animal enclosures, factories, silos, greenhouses and a whole lot more. Compatible with both water and oil-based solutions, it features a deluxe pulse jet engine and innovative dual point inlet technology that together deliver efficient and fast-acting fogging in any conditions. In particular, because of the power and efficiency of the engine, this device generates a fogging mist made up of such miniscule particles (5-30 microns), that it will easily penetrate those inaccessible areas where mosquitoes and other pests like to hide out during the day. The Vectorfog commercial mosquito fogger is compatible with both water and oil-based pesticide solutions, and it also runs on any standard unleaded fuel. This is a battery powered fogger, it comes with its own set of 6-volt rechargeable batteries and a 110 volts charger. When it comes to commercial grade foggers, this offering from Vectorfog is right up there with the best of them, it’s well and truly recommended. Commercial grade fogger, perfect for large scale fogging operations, whether in factories, warehouses, food processing plants, offices, apartment complexes, schools, hospitals, poultry enclosures, food silos and a whole lot more. This is one of the best bug fogger offerings out there today. Fuel and solution tanks have a capacity of 6.5 liters, there’s no chance that you will run of pesticide in the middle of conducting your fogging operations! 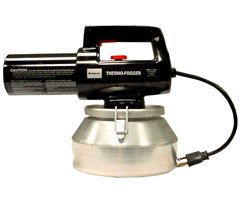 Unlike a thermal fogger, a ‘cold’ fogger does not make use of heat to vaporize the fogging solution or pesticide poured into the device. Rather, it employs cold spraying methods, the main one of which is subjecting the fogging liquid to extremely high pressure, which separates it into a mist made up of tiny particles. The power source pumps the fogging solution from a storage tank or reservoir out through a nozzle situated at the front of the fogger, which transforms the fogging liquid into a spray or mist. As with thermal foggers, cold foggers can run on either fuel or electricity, though by far the majority run on the latter, including the main type of cold fogger, the ULV fogger (as we shall see shortly). Likewise, some cold foggers are compatible only with oil-based fogging solutions, others use only water-based ones, others are compatible with both. One useful feature of cold foggers, is that you can easily adjust the size of the particles emitted by the fogger, simply by altering the rate of airflow (which can usually be done by turning a flow valve located on the device). This is useful if you want to fog different kinds of environment: for example, smaller particles are better for indoor areas as they will remain in the air longer rather than resting on the furniture and fittings, and they also penetrate better into small cracks and crevices underneath the floor etc. In the same vein, small droplets are more appropriate for miniscule insects like mosquitoes, whereas larger bugs may be better eliminated by using larger droplets. Also, you will probably want to use larger droplets when you spray outdoors, as smaller ones are more easily blown away from the targeted surfaces by the wind. If you want your cold fogging device to emit larger particles, then simply increase the air flow; through the fogger whereas if you want smaller ones, you will reduce it. 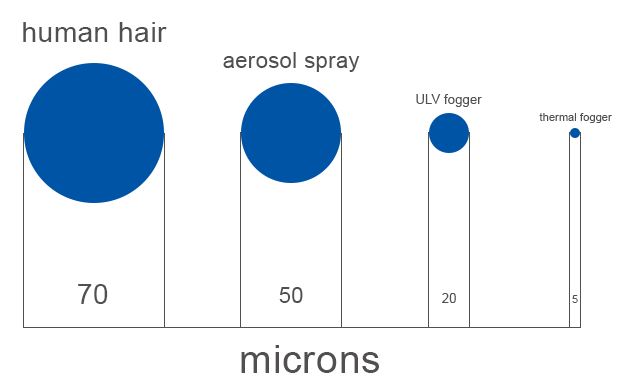 Generally speaking, the size of droplets generated by a cold fogger can range from 5 microns up to 50 microns. Other benefits of cold foggers include the fact that there is no fire risk with these sorts of foggers and, as we have just seen, they can be used indoors as well as outside (at least in the case of electric cold foggers). Many cold foggers can also be put in auto mode and left to fog an area, unmanned, for hours at a time. Propane foggers, by contrast, require someone to be pressing the trigger at all times. However, cold foggers are not without their disadvantages either. They tend to be more expensive than thermal foggers, less efficient – both in the sense that they require more power to run them, and they require higher concentrations of insecticide to get the same results – and the droplets they generate are not as small as those created by thermal foggers. Also, the fog produced by cold foggers is not nearly as visible as that which comes from thermal foggers, which makes it much harder to monitor whether your fog is going to the places you want it to. The main type of cold fogger by far is the ULV fogger. The centerpiece of this type of fogger is an electric motor which generates and regulates the flow of air and pumps flogging solution from a storage tank located in the fogger body, through the nozzle connected to the end of the fogger. The nozzle converts the fogging solution into a fine spray. As the ULV fogger relies on electricity to power it, it must be within reach of an electrical outlet, whether using extension cords or not. Here is our pick of the top three ULV foggers out there on the market today. Smaller than most, but just as efficient and easy to use. It's great no matter if you've just started dabbling in home pest control or have been ridding your space from bugs for a while now. Createch ULV fogger provides amazing results both indoors and outdoors no matter what type of solution you use it with. The standout characteristics of this ULV fogger are safe yet durable design, efficiency and versatility, making it one of our top choices for the best cold fogger. This non-thermal ULV fogger from Createch is one of the best foggers of it’s kind out there today, it can be used in residential, commercial and industrial settings alike – with equally good results in either one. 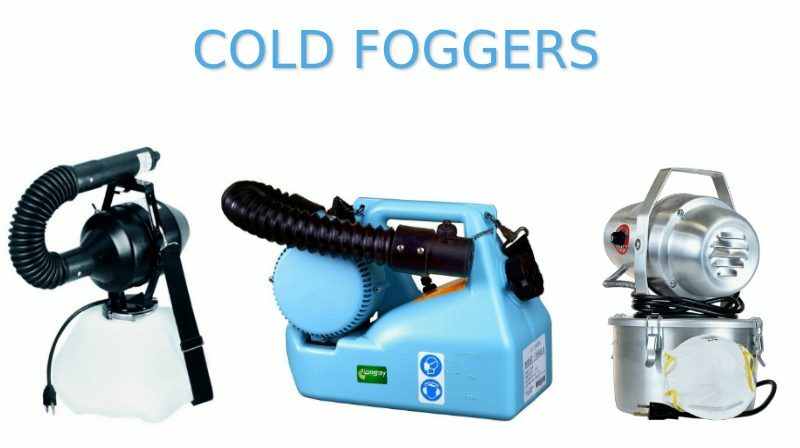 You can use this cold fogger either indoors or outside, and it is compatible with both water- and oil-based fogging solutions. It works by forcing a fogging solution through a nozzle at high pressure, thereby generating a fine mist; the specially designed tornado design nozzle can spurt spray up to 30 feet, which enables you to quickly coat those surfaces that you want, and to penetrate hard to reach cracks and crevices where mosquitoes and other pests are known to lurk. An adjustable valve also allows you to alter the size of the droplets emitted by the fogger to suit the job being done. In addition to fogging operations, it is also suitable for general disinfectant activities, odor control, and mold prevention and treatment. Ideal for use at home or commercially, this outdoor insect fogger is suitable for the yard, house, factories, barns, warehouses, dog kennels, stables and a whole lot more. Createch has really hit a home run with this product, it’s highly recommended. Keep your outdoor and indoor environs alike mosquito and pest free using this ULV fogger from Smith Performance. 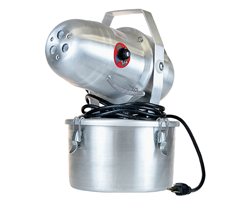 This electric mosquito fogger doesn’t come with the hazards of fire and fuel leakage like most thermal foggers do, instead it atomizes fogging solution by the application of pressure: the electric motor forces solution through a nozzle which transforms it into a fine mist that will easily penetrate those hard to reach areas where mosquitoes and other pests are known to dwell. By adjusting a valve located on the nozzle, you can alter the output of the fogger, from a light mist to a thick, heavy coating. 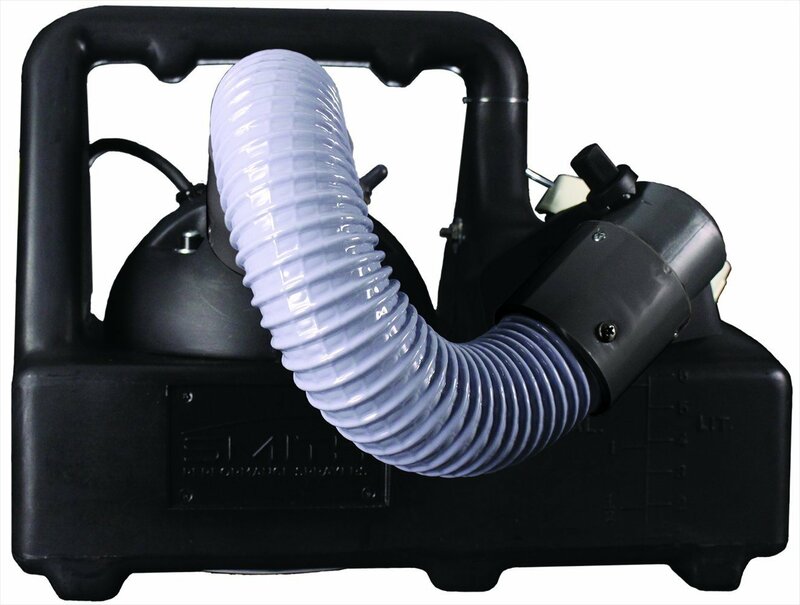 You can set this cold fogger machine to auto mode or, by using the flexible hose extension, use it to reach into confined areas. It also has a built-in carry handle and hose storage compartment. Electricity powered, all this backyard mosquito fogger device requires is access to a standard 110 volts power source – no hazardous propane or other fuels to contend with. 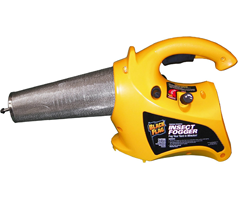 This cold mosquito yard fogger from Smith Performance can be used indoors and outdoors alike, in the home, yard, barn, stable, kennel or chicken coop – no part of your property will remain a safe haven for mosquitoes once this product is through with it. Go out and grab one for your place today. ULV cold fogger, keep both the internal and external realms of your home well protected from mosquitoes, flies, gnats and other common household pests. It’s suitable for use in domestic and commercial settings alike. 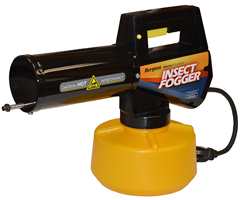 It is one of the best insect fogger currently available on the market. Here we have another fine ULV, non-thermal fogger, this one from the folks at Silver Bullet. This offering of theirs’ is a non-thermal, cold fogger that is suitable for a wide range of applications, both inside and outside: use it in your home, the yard, on camping trips, in the kennel, stable, the factory, warehouse or more. There is no flame or hazardous fuel to contend with here, instead, this home mosquito fogger device relies on the much safer method of forcing fogging solution through a nozzle at high pressure to create a fine mist. And by adjusting the flow valve on the nozzle, you can alter the size of the droplets emitted, achieving either a wet or dry application. 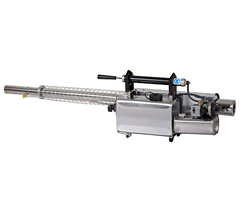 The nozzle is so designed that it can spray up to 40 feet, making this one of the most powerful and efficient ULV foggers out there on the market today. 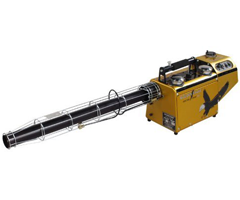 Compatible with both water- and oil-based fogging solutions, this fogging machine for mosquito control is versatile too. Built from high-quality stainless steel materials, this is a durable product that is built to last. We have reviewed some very fine foggers in this article, and this one from Silver Bullet is up there with the best, it’s a great note on which to round out this article. ULV, non-thermal fogger, suitable for pest control purposes both inside the house and without. Use it in your home, yard, camping or picnic site, kennel, stable; in farms, factories, warehouses, food processing plants and more. If you want the best insect fogger for your home, then give this product a try. Mosquito foggers are devices that spray mosquito repellent or insecticide over a large area, thus allowing for broad-ranging pest control. The repellent is dispersed as droplets so that it can be spread over a larger surface area – and also penetrate those places where mosquitoes are most likely to be hiding (for instance, deep beneath heavy foliage). This is achieved either by heating it to the point where it is transformed into a vapor or by forcing it through some type of nozzle at high pressure. A mosquito fogger is actually a very simple device. Though there are a number of different types out there on the market, all versions of this device consist of a very small set of components: an insecticide; a carrier liquid or solution for the insecticide; a storage tank or reservoir for the fogging solution (and the fuel if the device runs on one); an atomizing chamber in which extreme heat or pressure is employed to vaporize the fogging solution; a barrel or nozzle for dispersing the pest killer; and a power source for vaporizing the insecticide and dispersing it from the blower. There are two main types of fogger out there on the market – thermal foggers, which use one of the various heating methods to transform an insecticide from liquid form to a vapor or fog that can be dispersed over a wider area. These types of foggers are perfect for large, open areas – as they run on fuels like propane and butane, they cannot be operated in enclosed spaces, because of the risk of asphyxiation. They generally use a hydrocarbon-based carrier liquid like paraffin oil or diesel. They are also very powerful and efficient, they generate very small droplets – which means they can penetrate hard to access areas – and the fogging mist or spray appears as a highly visible fog which makes it much easier to monitor their output and ensures the correct areas are being sprayed. Cold foggers, or Ultra Low Volume (ULV) foggers as many of them are called, are powered not by fuel but by electricity, but the end result is the same: the conversion of the fogging pesticide into a fine mist which is then dispersed into the surroundings. Most of them work by using an electric motor to force the fogging solution through a nozzle at high pressure so that it is converted into a fine mist or spray. Though safer than thermal foggers, one drawback of cold foggers is that the mist they generate is not as visible as the thick fog of thermal foggers: so you may or may not be able to determine if the spray is going to the desired location. Cold foggers are not quite as efficient as thermal foggers, either, heavier concentrations of the chemical are required to get the same result – though on the other hand, because they are non-thermal not as much of the insecticide chemical is burnt in the process. In addition, they can be used indoors as well as outside because there is not the same risk of asphyxiation with this sort of fogger: the carrier liquid is generally just plain water. By adjusting a flow valve located on the nozzle, you can also alter the size of the droplets emitted by the fogger, achieving either ‘wet’ or ‘dry’ applications. When it comes to mosquito control, mosquito foggers offer many advantages over other pest control methods. To start with, and as we have touched on already, they provide extensive protection against mosquitoes over a large area and in normally hard to reach places. If you have a big yard full of dense foliage, then mosquito fogging is the perfect solution to your pest control problems. In addition, mosquito foggers are compatible with almost any type of insecticide chemical out there, including all-natural, ‘organic’, options. They are fast acting, and if you use a residual chemical, they also provide enduring protection against future mosquito outbreaks. Finally, mosquito foggers are in most cases lightweight devices that are very portable and easy to transport around, as well as being very user-friendly. Mosquito foggers are not without their drawbacks, however. These include the fact that – in the case of cold foggers, at least – an electric power source is required. Also, as we have seen, thermal foggers cannot be used inside or in any other enclosed space due to the asphyxiation risks involved. Finally, regardless of the type of fogger you opt for, they do require you to handle and come into contact with some powerful chemicals – great caution must be exercised when using these products, especially if you have children and/or pets. Fortunately, by following the proper safety measures you can reduce the risks involved considerably – see below to find out more. Mosquito foggers are very simple devices to use. Although you should (in the case of thermal foggers) allow some time for pre-heating, most of them you can strap onto your back straight away like a backpack and walk around the yard or room spraying insecticide from a hose or blower-type device. Here are some pointers for getting the best results from your mosquito fogger. Mosquitoes come out in full force at dawn and at dusk, so these are the best times to fog your yard etc. As for where to use your fogger, educate yourself concerning the places mosquitoes like to set up their nests; generally speaking, they like dank, dark areas containing plenty of foliage and vegetation cover (think long grass, shrubs, bushes etc) – and any source of standing water is a literal breeding ground for these creatures, whether it be outdoor ponds and pools, bird baths, old watering cans and flower pots filled with water, rain puddles, and the like. Don’t waste scarce insecticide by going around your yard spraying willy-nilly, focus instead on the areas mosquitoes are most likely to be found and apply the insecticide directly to those areas. Because mosquitoes don’t stray very far from their breeding grounds, this is an effective means of ridding yourself of whole generations of mosquitoes – current and future. Any other dark, dank areas on your property – for example under buildings, within cracks and gaps etc. Especially in the case of propane or other thermal foggers, you want to spray only in areas that are well-ventilated and contain no flammable material. As we have seen, it is forbidden to use this type of fogger indoors, but if you need to spray an area under your roof, or within any nooks and crannies of the built structures of your property – first ensure the area receives proper ventilation. Also, propane foggers generate a lot of heat – and can sometimes even emit a small fire-ball – so be sure the area you are spraying is clear of any materials that could light on fire. It should also go without saying that a mosquito fogger is not to be used near food, or around children and pets! There are many different types of fogger out there on the market, and to determine how to use yours’ correctly, you should always look at the instructions that come with your product. If you are fortunate, your device will come with a hose extension that enables you to access hard to reach areas. Make sure you use it because mosquitoes and other pests love to dwell within dense foliage, cracks, crevices etc. How often should you fog? This depends on the type of insecticide being used to fog: some products are extremely fast acting – but deliver only very short-lived protection – whereas others are effective at creating an ‘insect barrier’ that repels mosquitoes for a lot longer. Always check the specifications of your product to determine the length of protection it supplies: 6 hours is a common number – more than enough to enjoy an outdoor picnic or barbeque! Fogging chemicals are often divided into ‘residual’ and ‘non-residual’ chemicals. Residual chemical leaves a long-lasting chemical residue and so are not recommended if will be spraying on and around your plants, and in areas where children and pets are known to wander. They are best suited to uninhabited places like around the eaves of your house, where you can use them to effectively create a barrier between your home and any mosquitoes wishing to intrude upon it. You can also use them indoors, provided once again that there is no children or animals present. For most outdoor applications, non-residual chemicals are recommended as they have a short half-life and their effectiveness quickly wears away post-application; as a result, they will have much less of an effect on non-targeted wildlife. What liquid should I use with my fogging pesticide? This again is dependent on the type of pesticide used, and the fogging device it is used with. Check the specifications contained in the labeling of both products to see if they work best with water-based solutions or oil-based solutions, or can be used with both. Mosquito foggers, though seemingly innocuous little devices, are not without their hazards; to ensure the safety of you and your loved ones, here are a few little rules you should follow. To get optimal results from your device – and to ensure you are not exposed to any hazards – one of the simplest but most easily overlooked things you can do is to read the instructions that come with your product. These will inform you of how to use your fogger correctly, how far to hold it from your body, which spaces it can be used it, which solutions it is compatible with, what protective equipment you should wear whilst fogging, and suchlike. Any fogging device worth the money you fork out for it will come with a user manual that contains this and similar information. Most fogging solutions are not strictly speaking poisonous to humans or even pets, however, they can still cause allergic or other harmful reactions if too much comes into contact with your skin or respiratory system in too short a space of time. So when fogging, you should at the very least put on protective goggles, work gloves, long-sleeved shirts and pants, and closed shoes. A respirator may be a good idea as well. Be especially careful when handling the fogging pesticide in concentrated form, which you may do when you are pouring it from the bottle into the storage tank of your fogger. When operating propane and other fuel-powered thermal foggers, you want to be very careful that you don’t expose the fuel directly to open flame, or flammable materials as that can lead to a massive conflagration that can put you at risk of major injury. Similarly, when using electric foggers, make sure that neither the fogger nor the power cord comes into contact with water – you probably already know that electricity and water don’t mix very well! You want to purchase your fogger, and perhaps your fogging solution, from a reputable manufacturer with a proven track record. Burgess, Black Flag, and Repel – these are some of the top names in this field, and you will see their names crop up repeatedly in the ‘best of’ mosquito fogger reviews that follow. 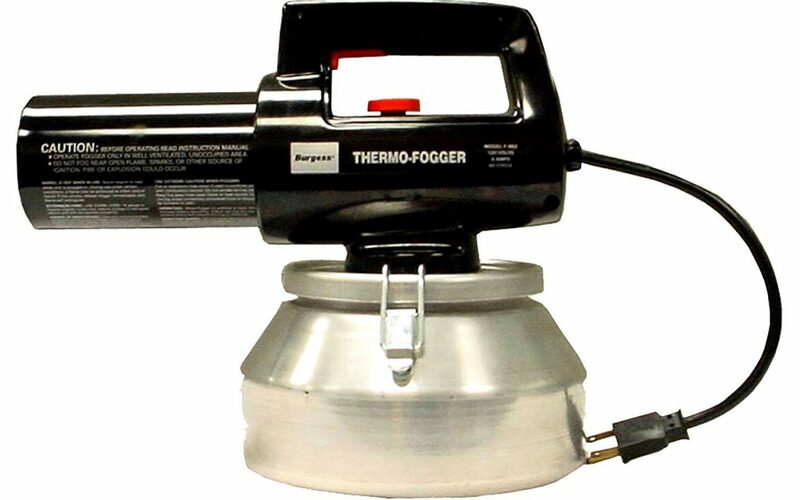 When buying a fogger, choose one that is made from high quality, sturdy materials – preferably stainless steel. Especially if you are going to be fogging outside, you want a product that will stand up to all weather conditions, including wind, rain, sleet and scorching summer sun. Look for a product that has a UL or IP (eg IP55 or IP65) waterproof rating, and is also certified as corrosion resistant. The range of sizes of the droplets generated by your fogger should also be listed on the product specifications contained on the packaging of your fodder. For mosquitoes, you want droplets of 20 microns or less – not only because mosquitoes are very small insects, but also so that the droplets can penetrate the hard to access regions where mosquitoes are known to dwell. This phrase refers to how much formula is released per minute by your fogging device. Another thing to look out for is how large of an area will be covered by a given unit of the fogging formulation used with your fogging device. Look for a product that will enable you to get ‘bang for your buck’! If you are conducting large-scale fogging operations, then be sure to buy a device with a large storage tank for the fogging solution. That way, you won’t run out of pesticide halfway through the job! Some devices are only compatible with water-based solutions, others with oil-based ones – others still can be used equally as effectively with both. Be sure to check this information before buying a fogger, and fogging solution, that doesn’t match! If you are going to be strapping your fogger to your back and spraying a large outdoor area, you want a lightweight, compact device. Similarly, if you take it with you on camping trips and the like. Be sure to read up on the dimensions – and weight – of the product you have your eye on. Can your fogger be used to apply disinfectant, conduct odor control activities, treat and prevent mold? 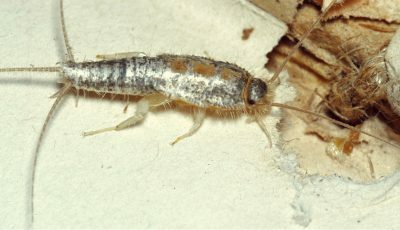 Is it suitable for use against other types of pest problems – for example, termites. It might be useful to buy a product with multiple possible applications. In this article, we have explored the different types of mosquito foggers out there today, their benefits and drawbacks as a pest control method, and pointed you towards some of the best products of each kind existing on the market at the moment. We hope you now have a clearer idea of what these devices are all about, and how they can benefit you and your loved ones this summer. So get out there and start looking for a suitable mosquito fogger for your family!